Eli Lilly & Co. is continuing to pay a major insurance company to provide sham education to psychiatrists about the liability risks of prescribing potentially toxic medications like Zyprexa. 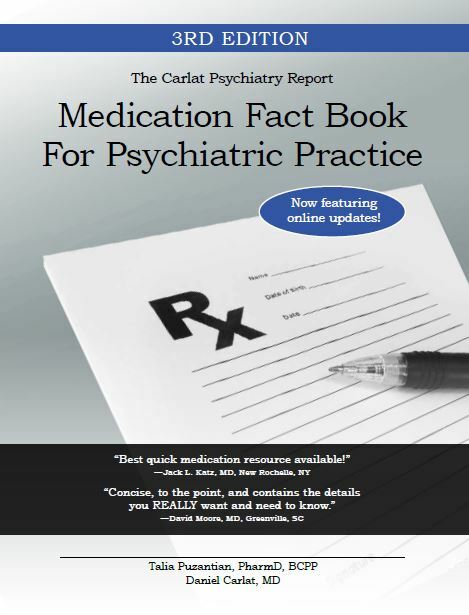 The courses, entitled "GET THE FACTS: Understanding Professional Liability Risk Associated with Prescribing Medications,” are being heavily promoted to thousands of U.S. psychiatrists via mailings, and are offered both online and in the context of lavish free dinner programs. Although funded by Lilly, they are taught by PRMS, Inc. (Professional Risk Management Services), a risk management company that manages The Psychiatrists’ Program, a malpractice insurance policy tailored for psychiatrists. The central message of these “educational” programs is that psychiatrists are unlikely to be sued for prescribing medications that may have toxic side effects. According to the course, “there are effective ways to decrease risk related to prescribing, and if a lawsuit is filed, the risk of a plaintiff prevailing is low.” While Zyprexa is never actually mentioned in the programs, it is clear that the intent of the courses is to convince psychiatrists that they are unlikely to be successfully sued by patients claiming that Zyprexa has caused obesity or diabetes. There are numerous veiled allusions to Zyprexa in the course. 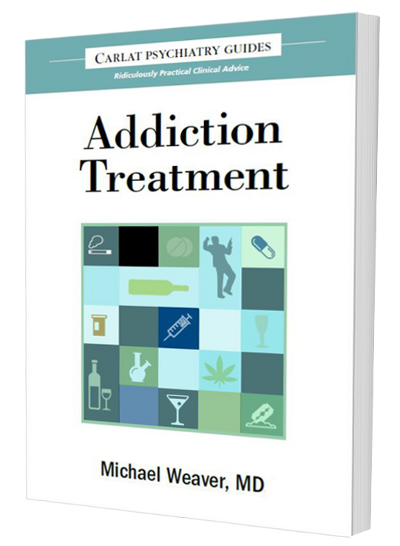 In the introductory section, for example, they state that “Advancements in medicine usually add to the complexity of treatment and at the same time increase patients’ unrealistic expectations about treatment outcomes. Patients may be less likely to accept that unexpected and adverse outcomes are a part of treatment. Even in the absence of negligence, there are always risks of medical treatment that must be weighed against the benefits.” This mirrors the common theme of Eli Lilly promotional material for Zyprexa, namely, that it is more important to focus on the clinical benefits of the medication rather than the risks associated with it. Lilly’s extraordinarily deceptive marketing tactic takes on new relevance with the unsealing two days ago of internal company documents in the State of Alaska’s suit against the drug-maker. According to Bloomberg News, an instruction sheet given to Lilly sales reps in 2002 stated that: “We believe it is essential to weaken this link to neutralize the diabetes/hyperglycemia issue. Neutralizing any concern from our customers will be essential to the future growth of Zyprexa in the marketplace.” Meanwhile, the company’s own data showed that patients taking Zyprexa had 3.5 times the rate of high blood sugar as patients taking a placebo. PRMS’s psychiatry insurance program is the only malpractice program receiving an official endorsement from the American Psychiatric Association. While the APA neither endorses nor participates in this educational exercise, the fact that it endorses PRMS means it may have leverage in curtailing the company’s unethical activities. Psychiatrist and APA member Dr. David Port originally alerted me to these shenanigans, and we have jointly sent a letter to the APA requesting that the organization ask PRMS to cease this program immediately. I will keep you informed of any developments. I've been on vacation with my wife in Wyoming for the last week and will resume my blogging duties on Thursday. For those of you planning a trip out here, here are my top five suggestions. 1. Enroll your kids in summer camp--which we did. It was amusing to see large families making their way up the mountains at 8,000 feet of elevation--"I can't believe we're going on another hike!" "It's not a hike, it's a walk." 2. Spend a couple of days in Jackson acclimatizing to the altitude--which we didn't. Our first few hikes felt like climbing up from Everest base camp without oxygen. 3. Rent a motor boat at Signal Mountain Lodge and cruise around Jackson Lake. It's the best way to see the Tetons up close in complete solitude, since you can beach the boat at any one of numerous uninhabited islands on the lake. 4. Hike from Lupine Meadows trailhead to Amphitheater Lake, a 10 mile roundtrip hike, 3000 feet of elevation gain, very strenuous but incredible views along the way and an amazing final destination: a glacial lake surrounded by the highest peaks of the Tetons. 5. If you must visit Inspiration Point and Hidden Falls, avoid the Jenny Lake shuttle (as crowded as Grand Central) but instead park at North Jenny Lodge and hike along the north side of Jenny Lake. Noone else on the trail and stupendous views with every step. Talk to y'all in a few days! I recently received an e-mail inviting me to register for a big psychiatry conference in New York City. Called the “Third Annual American Conference on Psychiatric Disorders,” it is presented by Johns Hopkins Medical School, but is—get this—“developed through a strategic educational collaboration with the Institute of Applied Science & Medicine.” IASM is part of an umbrella MECC called McMahon Publishing Group, purveyor of innumerable throwaway journals like American Psychiatry News, CNS Senior Care, and Lord knows what else. Once on the conference's website, I clicked on their “Educational Prospectus,” which provides a fascinating insight into the titanic scale of financial incentives that keep industry-funded CME so biased. This document is not meant for physicians, but rather for MECCs and drug companies who want to promote their products to impressionable psychiatrists attending the meeting. For $103,000, IASM will prepare a “Special Report,” an 8-page, journal-sized monograph of approximately 4500 words with a 10-question multiple-choice post-test. A bit steep for a measly review article, you say? But wait, there’s more! There are several other pages detailing the separate responsibilities of various “partners” (in crime? ), and a crucial bullet point clarifying that your fees do not include honoraria for faculty hired guns, or for their travel, lodging, and meal expenses. Finally, notice that since this money-making scheme is formally sponsored by Johns Hopkins, Pfizer will agree to fund it if asked—clear evidence that their recent announcement that they will not directly fund MECCs should have little impact on the bias inherent in industry-funded CME. ...which is the title of this incredible article just published by David Michaels in the Washington Post. Read it. Now. On July 3, Pfizer announced that it would no longer directly fund medical education and communication companies (MECCs). Everyone’s wondering what Pfizer’s announcement means and what the implications will be for commercial CME. It’s not clear at first glance. They will no longer fund independent MECCs. However, they will fund medical schools, hospitals, and medical societies, even when those organizations jointly sponsor programs with MECCs. Why did Pfizer target independent MECCs? Primarily because MECCs, unlike hospitals, medical societies, and medical schools, are almost entirely dependent on drug company CME funding for their existence. The incentives to bend the rules and create biased education are enormous, much greater than the incentives operative in other institutions. According to ACCME data, in 2006 MECCs received more commercial support ($621 million) than medical schools, medical societies, and hospitals combined ($497 million combined total). In addition, MECCs are more dependent on commercial support as a proportion of their total income. In 2006, commercial support comprised 76% of MECC income, followed by medical schools (62%), hospitals (52%) and medical societies (30%). These proportions appear deceptively comparable, but in fact they are not, because unlike other organizations, MECCs are dependent on CME income alone. If a typical academic medical center stopped providing CME, it would cause barely a hiccup in their overall budget; if a MECC stopped providing CME, it’s Goodnight, MECC. It’s an age-old problem. When you know who butters your bread, you do everything you can to keep your supplier happy. Especially when the bread and butter is all you’ve got to eat. But enough of the sunny side of Pfizer’s decision. Here’s the dark side: they will continue to indirectly fund MECCs, as long as the grant money goes first to a medical society or medical center. What a loophole. You can already hear the great sucking sound of dozens of MECCs running to medical societies with proposals. If the system of industry-funded CME is already a legalized form of money laundering, Pfizer’s solution exactly doubles the deception. For example, Pfizer has funded the California Academy of Family Practice to the tune of around $3 million to provide CME on smoking cessation, a program called CS2day (Cessation of Smoking Today). First layer: Grant to a “clean” medical society or academic medical center. Second layer: Medical society gives money to a MECC. Final layer: MECC writes check to hired guns and ghost writers. Will medical societies achieve better oversight over the final CME outcome? Possibly. I’ll be interested in seeing what CS2day actually produces. Pfizer markets Chantix, which has been linked with a tsunami of neuropsychiatric and other side effects. We’ll see if the California Academy of Family Physicians will risk mentioning any of these. The APA and Drug Money: We're on it, Senator! Senator Charles Grassley recently sent a letter to the American Psychiatric Association (APA) requesting detailed information on all of the organization's financing from drug companies. This received extensive coverage in the New York Times, as well as other media outlets. For those interested, the APA sent out this email to its membership about the issue (reproduced on Pharmalot--scroll down on their site to see it). "The formation of an ad hoc work group of the Board [meaning the Board of Trustees] charged to work with the Medical Director to: identify the categories and amounts of monies received from the pharmaceutical and other industries producing products or services used in psychiatry by the APA and its subsidiaries; determine what direct and indirect financial consequences there would be from discontinuing each category; indicate how the APA could adapt to the attendant change in revenue; and to provide the Board with the elements of a 5 year plan to end or diminish the pharmaceutical revenue received by the APA. The ad hoc work group will report to the BOT with a report and recommendations by October 2008." So, in defense of the APA, they were already getting quite serious about examining the influence of the pharmaceutical industry well before Grassley's letter. All members of this work group were asked to sign a confidentiality agreement as a condition of participation. I thought long and hard before signing, and ultimately decided that I could be more helpful to the cause of honesty and transparency in the APA by signing and participating than by walking away. Therefore, I can't reveal any specifics of the work group's discussions. But more generally, I can say that I have been impressed by the thoughtfulness of the discourse. Everybody realizes that this issue is a serious one for the organization, and some sincere, determined work has gone into the deliberations thus far. Meanwhile, on a related note, over at the arch-conservative pharma-funded site, Drug Wonks, Robert Goldberg rants about Grassley's "obsessions," using the tired and worn out argument that since Grassley himself receives money from companies (imagine, a U.S. Senator receiving campaign contributions from companies and lobbyists, how shocking) he has no business calling the APA or anybody else on the carpet about their finances. Of course, the issue is less the money itself, but rather the need for transparency. The next time somebody feels the need to call Grassley or anybody else a hypocrite, I suggest you check out the Open Secrets website. Here, can read all the financial details you can stomach of anyone in the Congress or the Senate. Not only are legislators required by law to reveal the amounts and sources of all campaign contributions, but they must also reveal everything about their personal finances. Physicians have it a little easier than this. 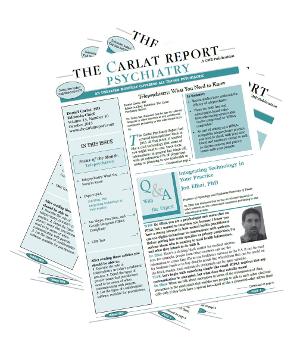 The Carlat Psychiatry Blog has concocted, invented, and otherwise created the following satirical secret Q & A document regarding PhRMA’s new Code on Interactions with Healthcare Professionals. This fictitious document is rumored to be circulating in redacted and top secret email accounts among pharmaceutical executives. Read it and weep. Q: Are there any significant changes in the new code that are going to impinge upon my ability to market my product? A: Absolutely not. As all of our marketing executives know, the most effective marketing tactics, in terms of ROI (return on investment), are: CME (continuing medical education), promotional speaker’s programs, lunches provided to targeted physicians and staff, and big ticket “educational” gifts, such as $100 textbooks and subscriptions to journals. There is nothing in the new code that will in anyway restrict any of these activities. Q: Why did you decide to ban tchochkes? A: Primarily based on feedback from drug reps in the field. They were taking up valuable trunk space in their cars, limiting our ability to provide free samples and cherry-picked articles. Physicians were increasingly refusing to accept them anyway. Our internal statistical analysts determined that the yield in new prescriptions directly attributable to these gifts (ROT, Return on Tchotchkes) was less than zero. Q: What should we do with the thousands of worthless clocks, mugs, and pens that are taking up warehouse space? A: We are arranging for shipment to Asia, where we understand these are in high demand and may be helpful in our members' overseas marketing campaigns. Q: You’re killing us with the ban on restaurant meals. That is one of our key marketing techniques. We understand your confusion, because on page 4 of the new code, we do say: “Any such meals offered in connection with informational presentations made by field sales representatives or their immediate managers should also be limited to in-office or in-hospital settings.” But this applies only to presentations provided by drug reps, not by hired gun physicians. The public doesn’t realize that physicians never wanted to go out to a restaurant with drug reps anyway, because it was a complete waste of their time. We offer our sincere kudos to the public relations team that crafted this ploy. It has worked so well that many newspapers, including the Los Angeles Times, have communicated this misinformation in their headlines. Q: Some of our key opinion leaders in orthopedics are concerned that this new code might limit the multi-million dollar payments they have received. Tell me this isn't true. A: Not to worry, on two counts. First, we have put no limits on cash payments to physician consultants, who are crucial players in our marketing efforts. Second, nothing in the new code applies to either medical device makers or biotechnology companies. So orthopedists can still be paid top dollar to promote your artificial hips and knees. Q: In a recent Business Week article, PhRMA’s Senior VP Ken Johnson said that “U.S. physicians are committed to quality health care. It’s part of the oath they take. So, despite what critics say, it’s insulting to suggest that doctors would prescribe treatments based on who gave them a slice of pizza, a pen, or a medical dictionary.” Now PhRMA is banning pens. Isn’t this likely to be perceived as an admission that we knew gifts were, in fact, bribes all along? "Providing items for healthcare professionals’ use that do not advance disease or treatment education — even if they are practice-related items of minimal value (such as pens, note pads, mugs and similar “reminder” items with company or product logos) — may foster misperceptions that company interactions with healthcare professionals are not based on informing them about medical and scientific issues." As you can see, this allows us to discontinue outright bribery without admitting that it was ever bribery. Instead, it has been re-labeled as a "practice" that “may foster misperceptions” of our altruistic intentions. This strategy has the additional advantage of allowing us to save face if we find it necessary to give up other forms of bribery in the future, such as free meals and free textbooks. Q: You’ve thought of everything! I’ll be sending in my 2009 PhRMA dues early in appreciation of all your good work. A: We aim to please. Did Drug Company Gifts Kill the Gift Ban? In April, the Massachusetts State Senate passed a total ban on all drug company gifts to physicians (see my post here). Spearheaded by Senate President Therese Murray and supported by many others, the ban appeared certain to be approved in some form by the House, and Massachusetts could have bragged about taking the hardest line of any state against this form of legalized bribery. I don't mean to imply that Senator Murray, or any other legislators, accepted any of these freebies in San Diego. But there's no question that they allowed their opinions to be influenced in a carnival of swag. Meanwhile, BIO 2008 has announced that Massachusetts Deval Patrick is their "Governor of the Year" on the strength of his support for a $1 billion Life Sciences initiative. I assume they will honor the Massachusetts Legislature with a similar award, depending on the outcome of the vote on S 2660.